'Tiger'; a word that would stop the hearts of Russian and allied tankers in World War II. A moving fortress of death able to take out almost all other tanks at 1000 meters or more. A heavy tank company consisted of three 'Panzerzuge' (panzer platoon) each with four Tigers and a 'Gruppe Fuhrer' (group leader). The three panzer platoons were led by a leutnant (lieutenant) or an oberleutnant (First Lieutenant). The Gruppe Fuhrer had a complement of two tigers and a medium sized off road vehicle. It was later increased to two light off road vehicles. The second tiger functioned as a replacement tank for the 'Kompanie Fuhrer' (company commander) who was usually a 'Hauptman' (captain). All of the information above is found in the seventh paragraph of the first page of chapter one. On May 26th 1941 Hitler instructed Porsche and Henschel to complete six heavy armored vehicles by the summer of 1942. The gun was originally to have been a 7.5cm , but was changed to the infamous 8.8cm. On page 125 the author details the 'training course content'. There are pictures on page 128 of Tiger turrets on concrete boxes for the training of gunners and loaders. Anything from changing the oil, to replacing a piece of track or track pin can be found here. This is a Chilton repair and maintenance manual for the Tiger, and so much more. We always think of Tigers, and German tanks in general, as being much more crew friendly than Soviet ones. Imagine my surprise to find out that the heating system for the crew compartment was removed from some models in June 1944, due to engine fire risk. We haven't even touched on the 'deployment' or 'tactics' chapters. Between pages 383 and 385 are some very interesting facts about the Tiger attacks during the early part of Operation Citadel. 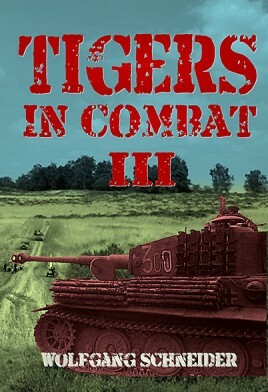 It seems that the Tigers were unnecessarily exposed to Russian minefields that were known to other nearby German troops. The last part of the chapter 'tactics' is on Tiger propaganda. There is a ton of original German propaganda followed by some surprising Allied ones. On page fifty-three there is a picture of a feast for Kurt Knispel. 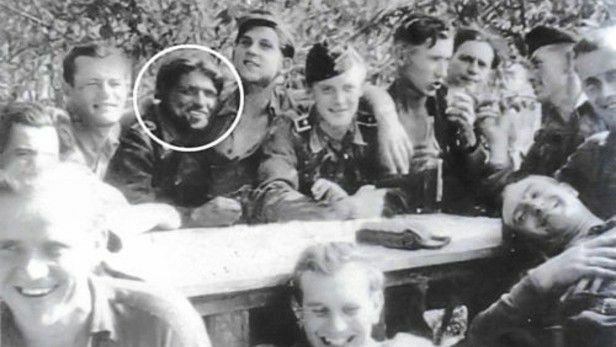 Who is sometimes credited with being the greatest tank ace of World war II. He is easily recognizable by his Wolfman Jack head and facial hair. The pictures in the book, let alone all of the diagrams, are worth its price. With this book and a handy restored Tiger, I could drive, maintain, and scare the hell out of the neighbors with it. On every page you will learn a new fact or tidbit of Tiger history. My hat is off to Mr. Schneider and Helion&Company for this book.